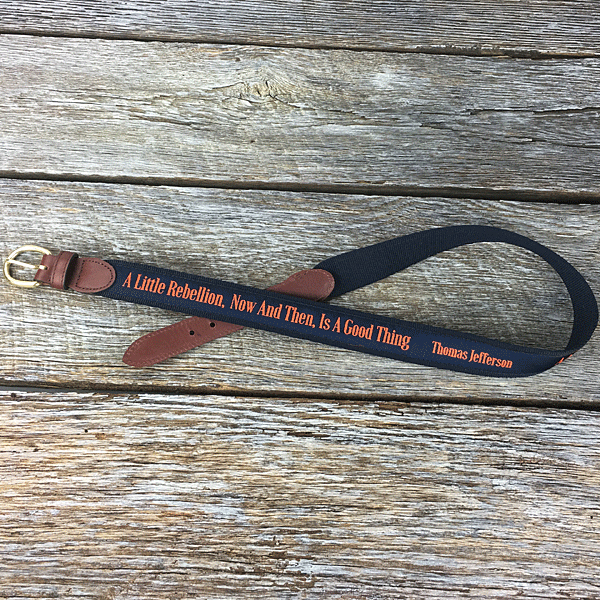 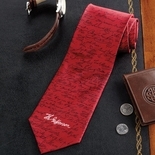 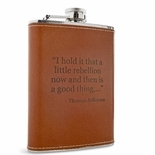 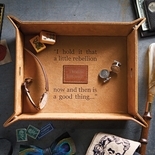 A fun and popular quote from Thomas Jefferson, "A little rebellion, now and then, is a good thing" is embroidered on silk in this classic surcingle men’s belt. 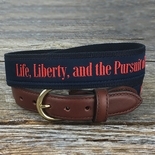 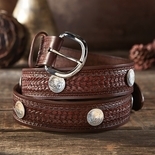 Sturdy construction, brown domed leather and solid brass buckle, all handmade in the U.S.A. 1 3/8" wide. 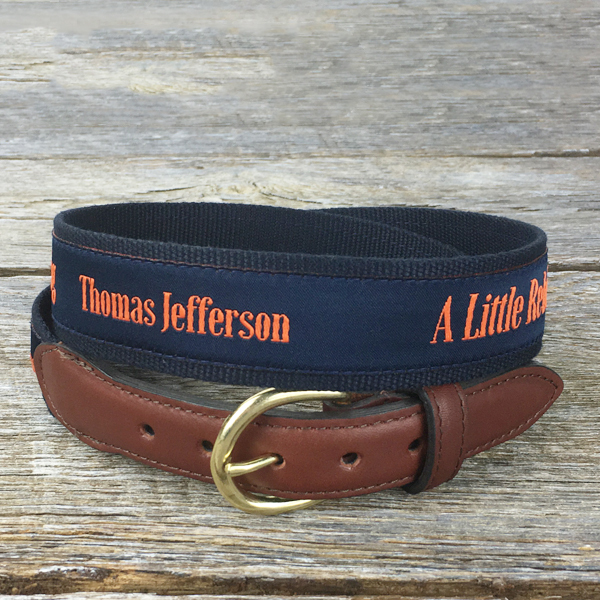 Select sizes 32-42.